This Q&A provides answers to commonly asked digital copyright questions. It will be helpful to anyone who creates or uses digital copyright-protected materials. As always, please don’t rely on our short, practical answers as legal advice or opinion. Contact an attorney should you require legal advice or opinion for your digital copyright questions. Do you need permission to provide a hyperlink to a website or blog? Providing the address (or URL) to online content can be an effective way to lower your risk of copyright infringement. Where possible, it’s best to link to the original source of the work (the creator or copyright owner’s website), as opposed to another site where it may have been used without permission. In some jurisdictions, embedding a link may not be legal and caution leads many to avoid embedding links as a general rule. Do some investigation before linking to satisfy yourself that you’re not linking to pirated or unauthorized content. Also, if a website states that linking is prohibited, then don’t link to it. Court cases around the world are still examining and clarifying the situations where linking may require permission. Can a library scan an article from a print journal in its collection? Owning a print article doesn’t mean you own the copyright and reproduction rights in that article. If you want to digitize an article in your possession, you need to obtain permission from the rights holder of the article before doing so. If you’re obtaining permission to digitize the article, you may at the same time ask for additional permissions such as the right to post the article on your intranet or circulate it internally in PDF. Is it legal to add a watermark to a digital image you legally acquired from a photographer? This is likely not a violation of copyright, assuming the watermark is a copyright statement for the photographer. In an extreme case, a photographer or other copyright owner may claim that it violates their moral rights and harms their reputation. A cautious approach would be to always ask the copyright owner before placing the watermark on the image. My organization purchased an electronic version of a journal article for purposes of research by one of our employees. May we store this electronic article on our intranet or on the library’s server? You should check the purchase order (PO) or license that accompanied the article. Were there certain rights and conditions placed on the article when you purchased it? What uses are permissible? If the PO or the license is silent on this issue, then you must obtain permission to use (i.e., reproduce or distribute) the article in any way other than for the personal use of the researcher who ordered it. In the future, consider adding a clause to your licenses for digital content that allows you to both access and store articles available through the license (assuming this is an activity you frequently do). I’ve published an e-book and am distributing it for free, but I don’t want others to redistribute it without my permission. How can I prevent this? I’m creating a digital paper collection of articles. The collection will contain articles from the internet and licensed databases, plus digitized articles. Do I need permission to create a digital library with all these articles? You need to examine each article or perhaps set of articles on its own. Are the articles from the internet in the public domain? If not, do the websites state that they may be used for free or just for personal or noncommercial purposes? For the licensed articles, what does your license agreement state? Are you allowed to accumulate individual articles or just use individual articles for specific purposes? For the digitized articles, did you obtain permission to digitize the articles? If so, does this permission extend to collecting them in a digital library? I’ve found a striking piece artwork online that I’d like to use for the cover of my e-book. 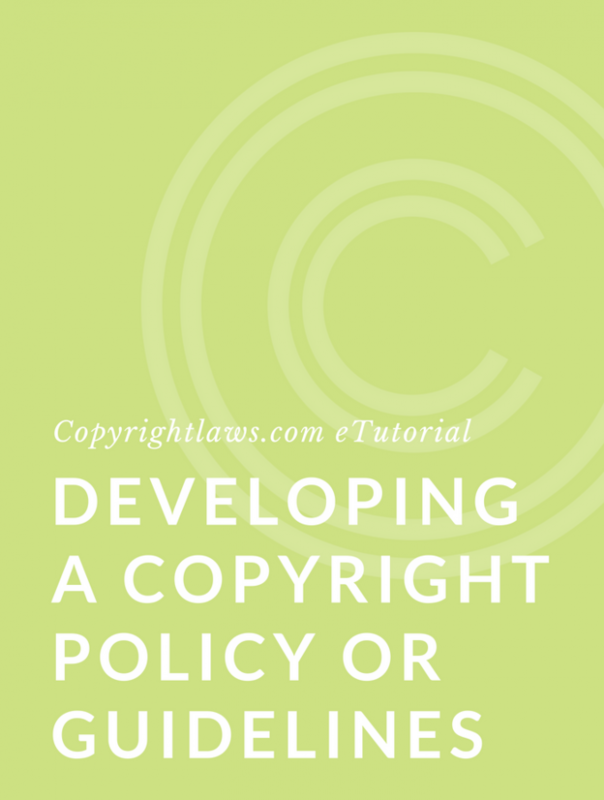 What do I need to consider from a copyright perspective? If you found the image on the internet, you need to do your research to determine if it’s in the public domain or not. If it’s not in the public domain, or you’re not sure, then you need to obtain permission to use the work. You may be interested in our article Copyright Issues in E-Books and Electronic Publishing. see Licensing Digital Content Book. 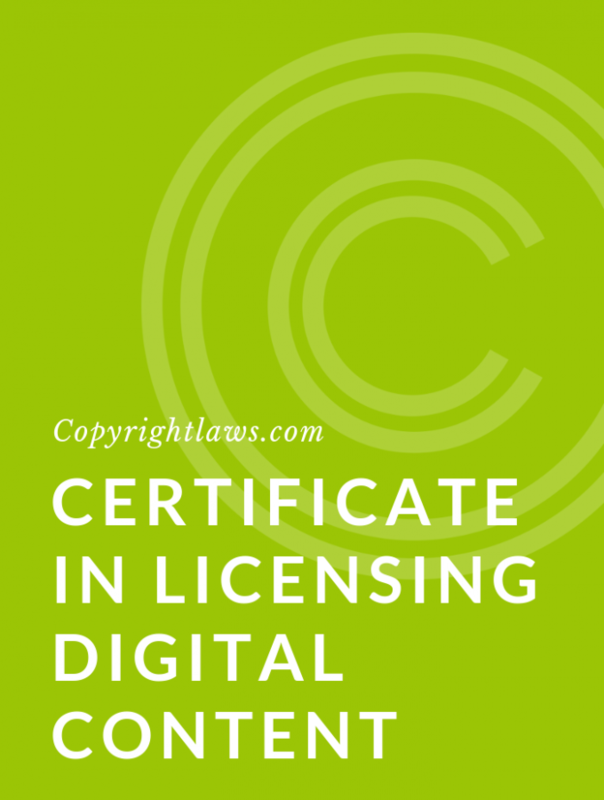 see our online course Introduction to Digital Licensing.